The most exciting announcement from Apple’s annual iPhone event on Tuesday was not a set of three new smartphones, but a smartwatch. The Apple Watch Series 4 — with its rounded corners, larger display, and built-in EKG scanner — became undoubtedly the most sought-after gadget in the aftermath of Apple’s fall hardware refresh. While many people have bemoaned having to choose between the iPhone XS and XR, or are simply forgoing a mobile upgrade entirely, the Series 4 stood out for how simple of a purchase it is for those who’ve been sitting on the sidelines of the wearable market. For those like me who’ve had an older Apple Watch Series 0 or 1, it’s a no-brainer, and it was what I was most excited about when I decided to stay up on Thursday night to claim a midnight order. The disparity is best illustrated by the fact that, after less than half a day of orders, every single tier of iPhone XS available right now has a September 28th to October 5th shipping window. Nearly every model of the Apple Watch Series 4, on the other hand, won’t ship until October 12th to October 19th. There’s a number of reasons why the Apple Watch is outshining the iPhone these days. The first and most obvious is that the iPhone has become boring, trapped by the diminishing returns Apple can wring out of the device year after year. It would seem, 11 years after the introduction of the first iPhone, that Apple’s marquee product has simply lost a majority of its luster. There are only so many upgrades and standout features you can add to a mobile product before its incremental changes are overshadowed by how much it costs. Simply take a look back at the last four years of iPhones. In 2014, Apple introduced the Plus version of the iPhone when it released the iPhone 6, which helped cement the trend of ever-larger displays that Samsung and other Asian manufacturers had first promoted. In 2015, the phone was paired with the Apple Watch for the first time, giving diehard fans a better reason to incorporate more Apple hardware and software into their lives. The year after, the company removed the headphone jack and released the AirPods, kicking off a debate about how and when to force consumers and the industry toward a wireless vision for the future. Last year, we got the iPhone X. With its signature notch, bezel-less display, and FaceID, it became an industry trendsetter and facilitated a more interesting debate about smartphone design than we’ve enjoyed in years. This year, which is admittedly an S upgrade year and so understandably less exciting, it doesn’t seem like there’s a lot of room for the iPhone to grow. That leads to the second most obvious reason why it’s become harder to care about the iPhone: price. 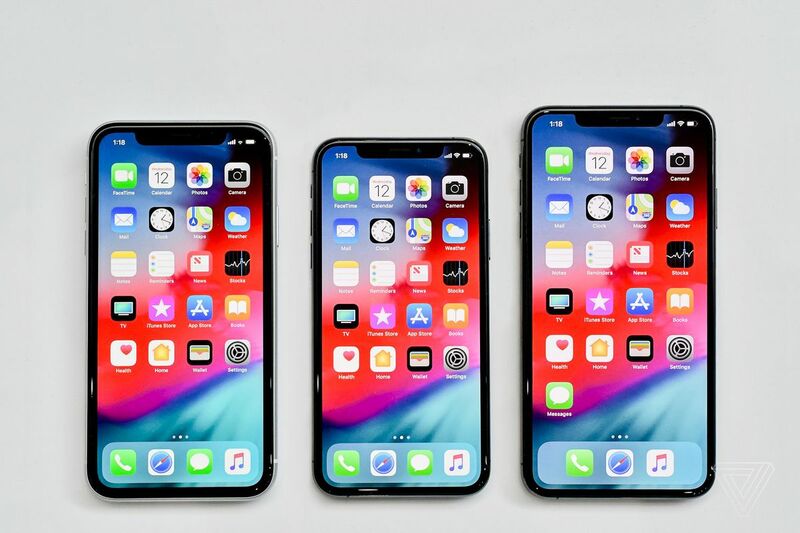 As the iPhone has stagnated in terms of new features, Apple has increased the average cost of its flagship device by more than $300, from around $775 to $1,100. The company figured out last year with the iPhone X that customers would be willing to pay not for meaningful new features, but for design and aesthetic improvements. So it began using higher-quality materials, like OLED displays and glass back plates, and increasing the available storage tiers. This year, you can get an iPhone XS Max with 512GB of storage for $1,449, making it the most expensive iPhone ever made, just like the X was before it. Granted, there are a number of customers who are likely waiting for the iPhone XR, which will be arguably the highest quality and most feature-packed $749 smartphone the company has ever sold. (Preorders for the XR don’t open up until next month, as Apple is working out supply chain and manufacturing kinks.) There is an argument to make that the XR is the more interesting, mass market-friendly, and potentially successful phone of the three, but we won’t know that until later this year. As it stands today, Apple’s flagship phone is the least exciting device it’s put out in a long time, and it’s easy to see why it’s being outshined by the Apple Watch. What started as an underdog product arriving late to the wearable scene, the Apple Watch has since become not only the world’s best-selling wearable, but the world’s best-selling watch, period. Apple has achieved that by consistently improving its hardware and software with each new annual iteration. Just like the early days of the iPhone, each new Apple Watch adds something exciting and legitimately impressive, from the water-resistance of the Series 2 to the cellular connectivity of the Series 3. Now, with the Series 4, Apple has added a built-in EKG scanner and the first hardware design overhaul the watch has had since its inception. There will be a time when the Apple Watch, like the iPhone, becomes a stagnant product that simply becomes more exorbitant and expensive. Ironically, Apple’s very first Apple Watch contained a line of now-discontinued models as expensive as $17,000. So there’s quite a lot of room for the company to grow its smartwatch brand and expand it back into the luxury market. But until then, we can expect quite a few more years of novel innovations and design overhauls. Perhaps Apple overcomes engineering and design hurdles to create a round-shaped Apple Watch. Maybe the company figures out how to extend the battery life by more than 24 hours. There’s myriad ways the Apple Watch can improve and reach a more mass-market audience. But one thing is for sure right now: with the Series 4 out in the wild, it’s probably a more invigorating time to be developing the next Apple Watch than the next iPhone, and customers seem to be responding visibly to that shift.